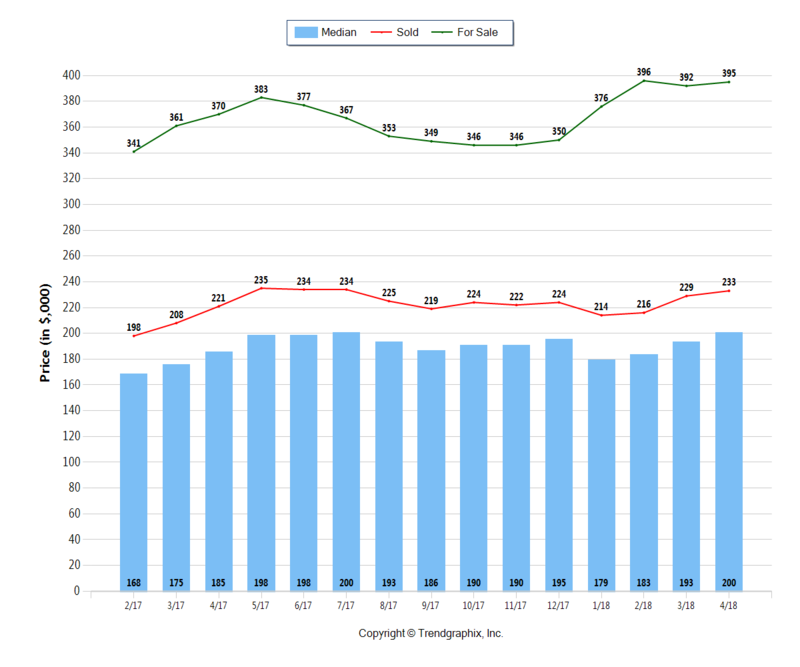 Temps are heating up, and so is the Central Ohio real estate market! The number of days on market for Columbus homes for sale is down, and average home prices in Columbus are up. 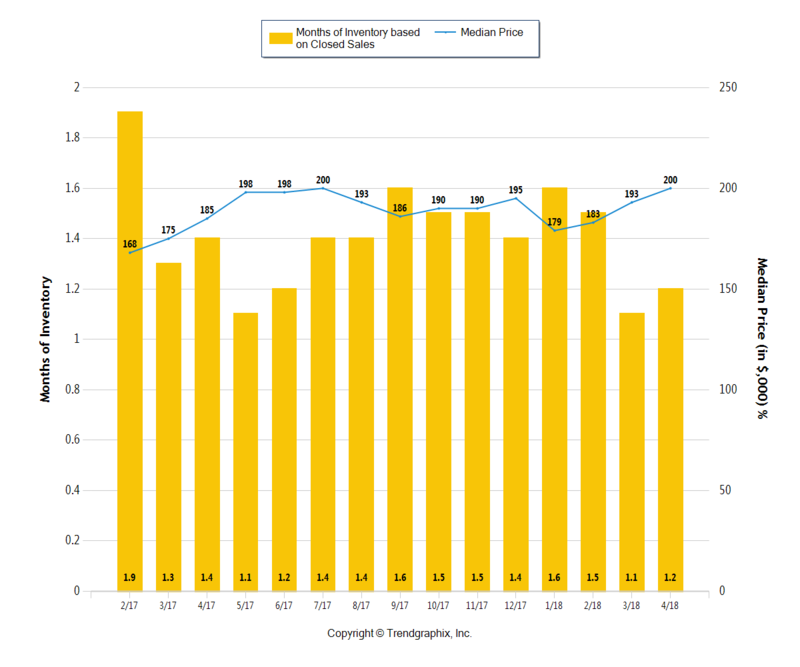 Read on for April’s days on market, average prices, months of inventory, and more. The number of Homes For Sale in April 2018: 2725 units. The number of Homes Listed in April 2018: 3312 units. The number of Homes Closed in April 2018: 2288 units. The number of Homes Placed Under Contract in April 2018: 3412 units. The Average Price per Square Foot on Sold homes is Appreciating* and is up to $120. 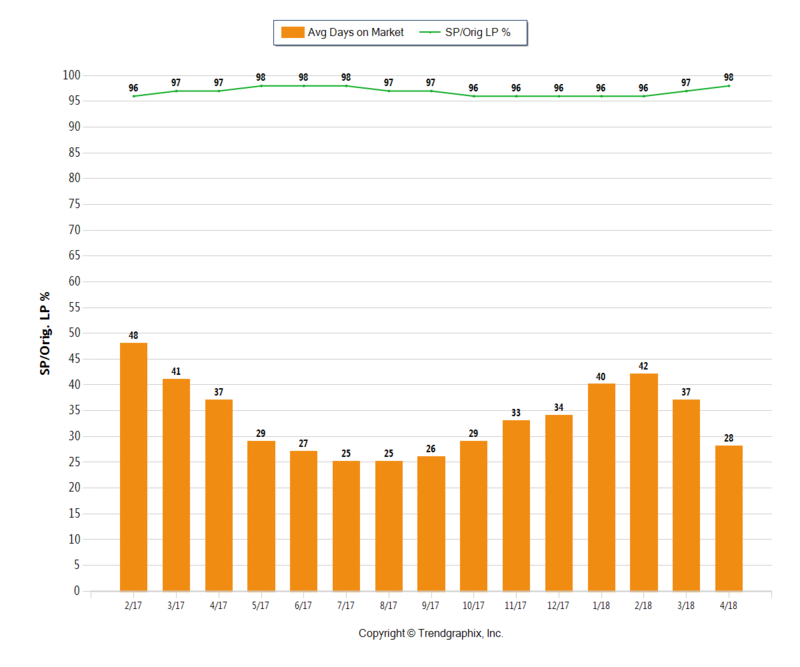 The average Days On Market in April dropped by almost 10 days! 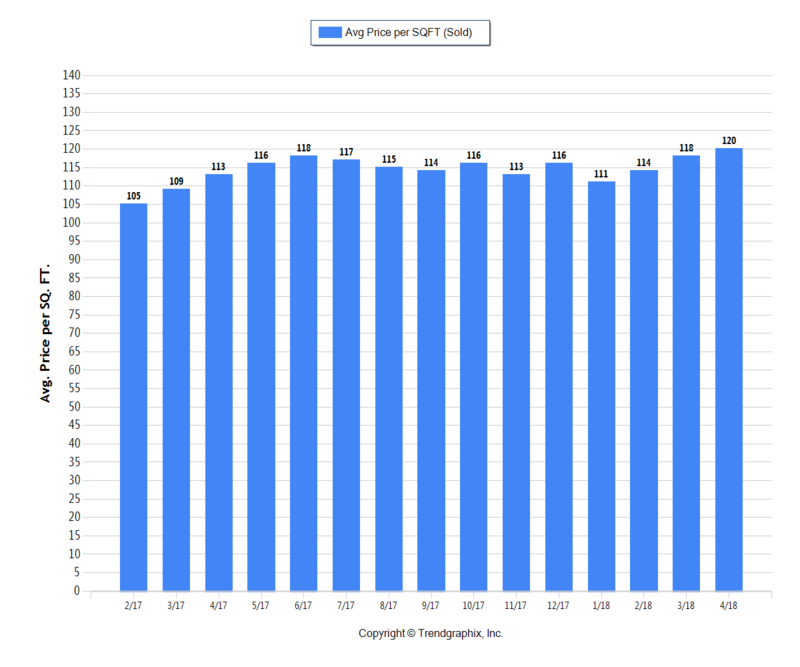 The Sold/Original List Price Ratio Rose* in April 2018 at 98%. The Median Sold Price appreciated* in April 2018 to $200k. The Average For Sale Price was Neutral* in April at $395k. 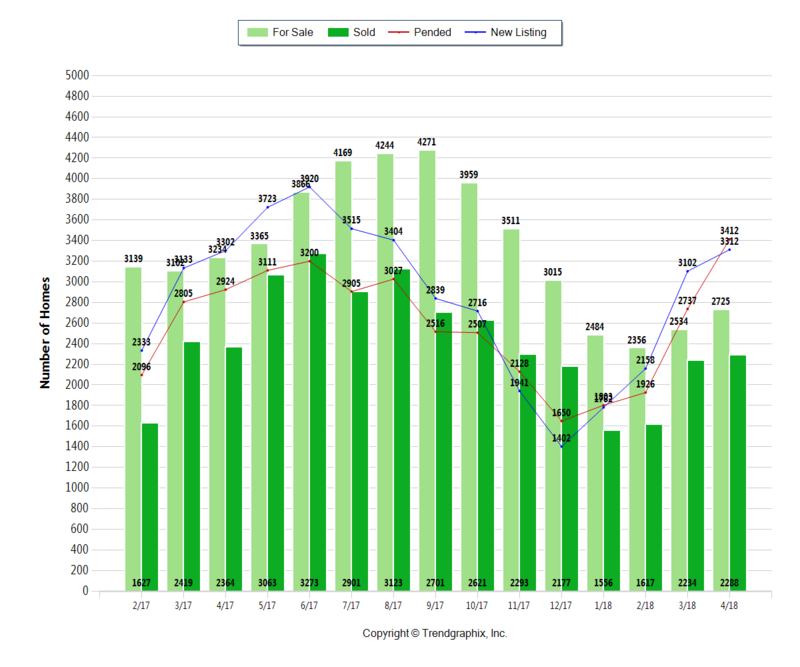 The Average Sold Price in April rose* to $233k. April 2018 was a Seller’s market* in Central Ohio (again). The Months of Inventory based on Closed Sales in April 2018 was 1.2. The Absorption Rate based on Closed Sales in April 2018 was 84%. This really is a great time to sell your home! Buyers are out in full force, home prices are up, and homes are selling very quickly. Keep in mind that market conditions can vary by neighborhood and even price point. Contact Columbus OH Realtor Rita Boswell to check market conditions in your community, and to determine how to best prepare your home for a speedy sale. Not only is it a Seller’s Market in Central Ohio, but seasonally this is also the busiest and most competitive time for home buying. Many buyers are frustrated by the extremely low housing inventory and rising prices, but stick with it and don’t lose hope. It’s still good time to buy a home thanks to interest rates that remain near historic lows and rising rents. Home buyers that work with an experienced Realtor typically find and buy their home faster. Contact us at the Rita Boswell Group to find your ideal home. At the Rita Boswell Group, our goal is to provide home buyers and sellers with the most up to date, in-depth market report possible. This report is based on data supplied by the Columbus Board of Realtors or its MLS. Information is deemed reliable but not guaranteed. Specific data points provided above may be adjusted, which will be reflected in future reports. Central Ohio real estate market reports cover the counties of Franklin, Delaware, Fairfield, Licking, Madison, Pickaway, and Union. For market information on a specific community, contact Realtor Rita Boswell at 614-547-3229.